We are yourGlobal Events Partner. Specialist Event Professionals. Proven Experience. The Event Planning Group (EPG) are your global event specialists and over the past fifteen years we have become leaders in the fast-paced world of international events, helping to define, plan and deliver many of the world’s leading global sporting events. We have been an integral part of the delivery teams at the Summer Olympic Games since 2000, along with Winter Olympics, Asian Games, Commonwealth Games, Cricket, Rugby & Football Worlds Cups. Our team has also been a part of the delivery of a diverse range of corporate & community event profiles including festivals, celebrations and exhibitions. We understand no two events are the same and that each event has its own set of objectives, cost models, programme requirements and cultural challenges. Our network of global offices allow us to deliver an international expertise through our “Global Reach, Local Focus” philosophy. Across the globe we have partnered with many major host cities, event organisers and organisations to deliver world-class events. At EPG we are more than a supplier, we are your event partner, with the people, proven experience and passion to successfully deliver any major event or exhibition. Our goal is simple, helping you achieve yours. Our approach to partnership ensures we get to know and understand your visions, objectives, constraints and challenges so we can provide you the most up to date, best practice advice and delivery solution for your event. An event strategy is critical in ensuring you deliver a successful event (economic, financial and with minimal impact). At EPG we understand this and have extensive experience in supporting event organisers to attract large scale events; assisting in developing strong candidate files, supporting bid applications and promoting the host city. We are able to assist you in all aspects of the strategic planning process - bid support and development, feasibility studies, master-plan strategy, foundation planning, budget & cost modelling, functional area concept development and operations planning. Our event operations managers are some of the most professional, knowledgeable and passionate people in the industry with a proven track record of leading cross-functional venue teams and event operations during all stages of the event lifecycle. 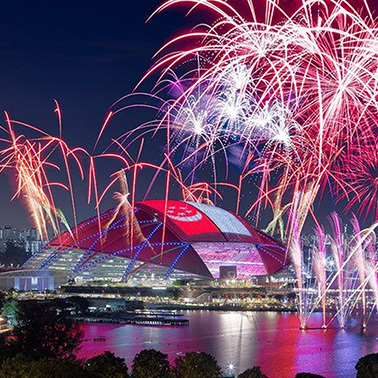 Our operations teams have been responsible for the event operations delivery for some of the world’s most iconic venues and demanding events including Olympic, Commonwealth and Asian Games, numerous World Cups and world exhibitions. At EPG we specialise in working with all stakeholders, event organisers and security organisations to design and develop the overlay scope of your event; estimating the cost of overlay and project managing the delivery of the overlay, from installation to remediation. Event security is a must have requirement in today’s major event environment and we have a team of industry leaders with expertise in planning and delivering major event security programmes. We work closely with event organisers and government stakeholders to define a comprehensive venue security infrastructure strategy, scope and delivery solution for your event. Additionally, our trained team of specialists can assist you in the development of your spectator service programs, and particularly crowd management strategies, ensuring spectator safety and their overall experience is of the highest standard at all venues and public domain areas. Our event logistics team are involved in all stages of the event lifecycle providing more than just detailed material planning but also the procurement, storage, distribution, tracking, management, retrofit and disposal of all materials and assets required for the entire event platform. Our industry-leading team of event village specialists have an in-depth knowledge and proven experience in the complex planning and delivery of Olympic Games Villages and Commonwealth Games Villages from concept design through to operational planning, event delivery and event closure. Working alongside global event catering companies, our event catering team has been behind the scenes of many of the catering programs for the world’s largest events, providing a range of services from facility design concept, site feasibility, supplier appointment, operational strategy development, through to site build and operational delivery. Our belief of the "right people at the right time" underpins our approach to workforce planning and recruitment. Our human resources teams have been involved in the event industry for over a decade and it is this experience coupled with our human resource expertise that enables us to deliver large, trained workforce numbers that have a consistent approach to event delivery.